Elizabeth Rose was born in the foothills of the Himalaya’s during the last decade of the British Raj, but she makes her home on the other side of the world in Galisteo, New Mexico. Once a sculptor, she now funnels her creative passions into her writing. Elizabeth has received more than a dozen awards for her first book—her father’s story—Poet Under A Soldier’s Hat: An Unwilling Officer’s Adventures in the Last Years of the British Raj. 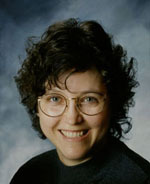 Visit her website at GalisteoLiz.com. What is your elevator pitch for Poet Under a Soldier’s Hat? Based on my father’s biographical notes, Poet Under a Soldier’s Hat illustrates 100 years of British colonial Rule from 1850s to Partition in 1947 through the personal stories of one family…mine. I hope readers will see a broader picture of the British Raj than the one portrayed by Hollywood. Its people weren’t all from traditional military upper class backgrounds, but from all classes with diverse motives, who chose to devote their lives to India and her people. My father being deceased, and not knowing any of his living peers, I had no person to question or check if I had correctly portrayed the facts and his sentiments or those of the other characters. Another challenge was writing authentic sounding dialogue. About 30 years ago my father gave a typewritten copy of what he called Memoirs of an Eccentric Colonel to each of his three children. When I finally got round to reading it about 20 years later, I realized, although not publishable in that form, the historical facts, people, and places of whom we’ve all heard (but perhaps don’t know much about) were too important/fascinating not to preserve and share. Step one was to change the format from 8”x 5” English writing paper to standard format, and to edit gross typos—laborious conversion work over two years in spare moments using Omni-page on an ancient computer. I had no thought then of writing myself, just editing and perhaps publishing his notes as he had written them. In 2009, when a writer friend suggested we should write together and critique each other’s work, we began with poems of first memories, and short stories. I found writing them so satisfying, it was then I decided to turn my father’s notes into a readable and expanded form, not a novel but as readable as one. I rearranged, cut, and embroidered the material into a logical and arced story line, and added descriptions from my own experiences of India and the Middle East. I used artistic license to weave description, dialogue, and interpretive thoughts around the actual events and people, and came up with a strong hook. 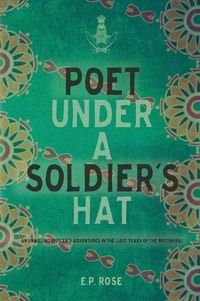 What was the most rewarding aspect of writing Poet Under a Soldier’s Hat? For me, the most important aspect of my writing journey was rewriting, editing, and learning little by little how to improve—person and tense use, make each chapter stand alone, show not tell, no clichés, reduce adjectives, get rid of as many “thats,” “likes,” and exclamation marks as I could. Until I joined SWW I’d never heard of a protagonist, let alone point of view, reversal, or an arc. What was it about your father’s life that made you want to share it with the world? The most important thing I wanted to share about my father’s life was how an unremarkable and repressed child can turn difficult, deprived circumstances into a successful, rewarding, and colorful, if unconventional, life. A sort of goal for not only me but others to never give up passion. Despite what my repressive English boarding school taught me to believe, I was surprised to find I could write a passable sentence and how much I enjoyed the creativity of writing. So much so, I put down my chisel with a-been-there, done-that attitude never more to make sculpture, and took to writing. Not as strange as it sounds—verbal communication/non-verbal communication—two sides of the same coin to my mind. How has your artistic nature helped you in your writing journey? In my sculpture I deliberately avoided detail, so leaving the observer room to add their own interpretation. I’d like to bring the same respect to my writing by learning how to suggest images and situations strongly enough that I never need to tell. To me it’s as important as avoiding information dumping, something else I picked up from SWW. The other crossover I see between the arts is the freedom to create something from nothing—a bag of clay, a block of wood, canvas, and words on paper. I’ve found each medium equally satisfying. What can fiction writers learn from nonfiction writers (or vice versa)? Like a good fiction writer, I think a nonfiction writer has to present factual information in a riveting form, make every sentence and word choice interesting and unique. Not that I have this skill yet, but that is my goal for the prequel of Poet Under a Soldier’s Hat and all future work. What would you do differently if you were starting your writing/publishing journey today? I’d collected more information before choosing an editor. Weigh the options regarding self-publishing and the traditional route. In my case, being in my seventies, I decided I hadn’t the time it might take, so I went with self-publishing. My goal was not to make a million, but to get the information out there as a historical record. Again thanks to a SWW presentation, I discovered Ingram Spark and reprinted my book in a more professional way than the first edition with new format, cover, back cover, bio, etc. (having learned their importance). Money no object, I’d find a scriptwriter to convert Poet Under a Soldier’s Hat to a film script. I am about 30,000 words into a memoir reflecting the last decade of the British Raj in India and recording my memories of that historical period. I also take mini-breaks; perhaps write a flash fiction piece, poem, or short story. I’m not one to give advice. We are all at different points in our writing journey. My advice to myself is, “Be like a Buddhist, focus on the process of the doing not the end product.” I try to write for myself, the best I can but without attachment, such as listening to critique and acting on it. I’ve found chopping a larger piece to flash fiction length and submitting to competitions, and paying for the critiques, is a great way to tighten a piece and get feedback.